There are two different airports in Buenos Aires, and often people need to travel between them to catch connecting flights. We’ve put together some information and advice on the two airports and how to move between them, as well as some ideas on things to do should you decide to spend a night or two in Buenos Aires. Ministro Pistarini International Airport (EZE), also known as Ezeiza is 30km to the south of the main part of town, and is mainly used for international flights. Jorge Newberry (AEP) is just to the north, and only a 10-15 min taxi ride from the nicest parts of the city; and is mainly used for domestic flights. Moving between the two airports can take 1 to 2 hours depending on traffic, and as customs and baggage reclaim can take a while we’d normally allow at least 5 hours between arriving into one and departing the other. This entry was posted in Buenos Aires, Travel Tips and tagged airport, Buenos Aires, Tips, transport, travel on 3rd July 2014 by Luke Errington. It was a great experience and we were lucky enough to have great weather…One of the highlights of my whole trip was the W Trek in Torres del Paine that you helped me arrange. How were Swoop’s partners in Torres del Paine? 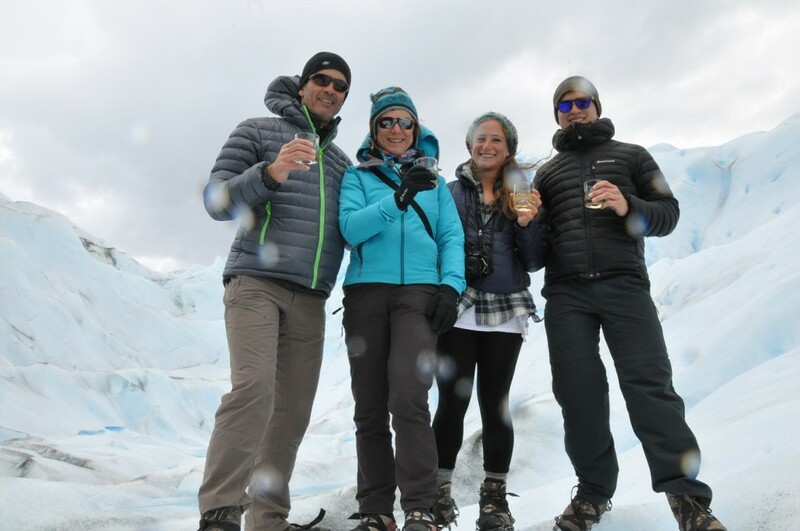 Your partners in Torres del Paine were very accommodating and easy to work with. Besides the W Trek, they arranged for bus tickets and a stay at the lovely Amerindia Hostel. How were your guides on the W Trek? Our guide Armando was so knowledgeable about the area including the geology, the history, and the flora and fauna. He also had an amazing ability to spot wildlife. How did Swoop Patagonia do in helping you plan and arrange your trip? I really appreciate that you let me know that I could easily do the hiking out of Calafate to Parque Nacional Las Glaciares on my own. This helped me keep the trip expenses down and I did a lovely three day backpack there on my own — my first solo backpack! Thank you so much. 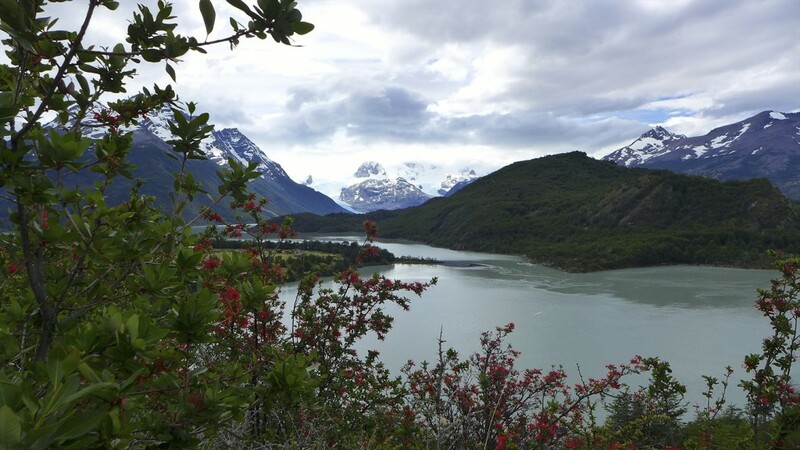 This entry was posted in Reviews, Torres del Paine and tagged chile_nativo, El Calafate, Torres_del_Paine, transport, W_Circuit, weather on 18th March 2014 by Luke Errington. The highlight of the Self Guided W hike was definitely Valle del Frances. The weather was perfect and the sheer beauty of this place is simply stunning. How was the travel and accommodation on your trip? Travel arrangements were perfect. Hotel Sierra Nevada was very good and Amerindia by means of the smile glued to Monica’s face, simply unforgettable. I blessed the decision to overnight in Chileno twice due to the unsettled weather, as this enabled us to spend a few hours under the towers, to see them and to take these unforgettable shots. We noticed that during the walk people were getting lunches in big paper bags. This seemed a little excessive as no one needed them and they littered every refugio. This is probably something to pass on to Sur Fantastico… A few trees in Amazonia chopped down unnecessarily! Unfortunately, we were neither able to hike to Valle del Silencio nor to Campamento Japones as we did not have the climbing permit and did not know that such permit was needed. We also wanted to visit Valle Bader but again lack of permit stopped us. I understand it is something off the beaten track but certainly worth visiting. The other thing worth mentioning is the need for sleeping bag liners in Refugio Chileno as I was not aware of this either. These were all just tiny niggles however, which did not bother us at all. It has to be said that we found the service of your partners in Torres del Paine perfect. We also hiked for a week in Nahuel Huapi Park. This equally blew us away. 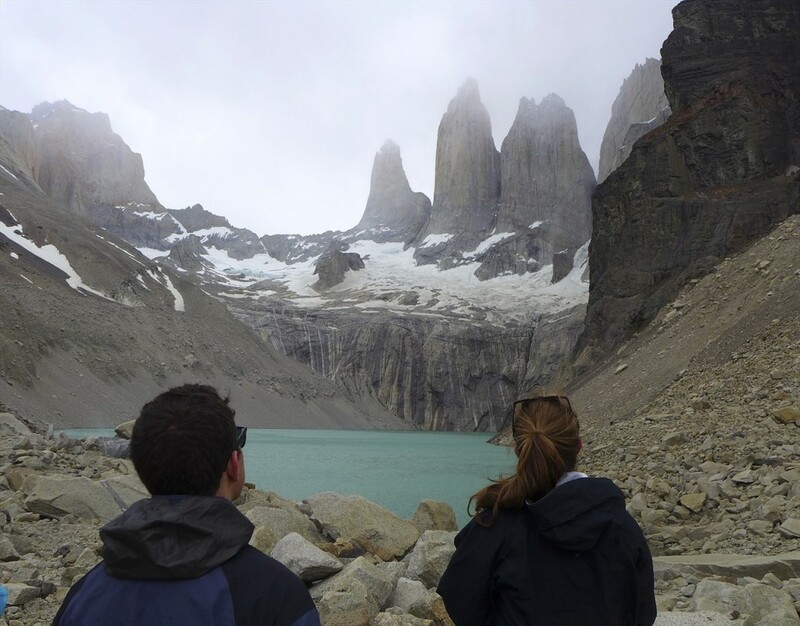 This entry was posted in Reviews, Torres del Paine and tagged accommodation, Chalten, chile_nativo, Customer, Hiking, refugios, Review, Tips, Torres_del_Paine, transport, W_Circuit on 31st January 2014 by Luke Errington. Overall I had a great time and the overall enjoyment was greater than I had anticipated before departing. The highlight of the trip for me was always going to be the landing on Cape Horn, and this was one of the prime reasons for undertaking the trip in the first place. The glaciers, the penguins and the wind and the waves were all part of a fully supportive cast and all played their part in making the whole thing so good. Did you visit anywhere else in Patagonia? I didn’t visit anywhere else in Patagonia other than the Cruise, but continued on to visit other areas of South America. How well did Swoop and our partners do in planning and arranging your trip? The holiday was planned well and if there were glitches they were not major and were probably because I hadn’t read the itinerary properly. Is there anything you wish had happened differently? The cruise itself was excellent in most respects. I do feel that more care could have been taken by the ship in ensuring that there were at least 3 English speakers out of the six people on each meal table. On the return leg we had five -a Chilean doctor and his wife who could speak Spanish English and some Italian and who was happy to translate in order to be inclusive, and the lovely smiley mother and grandmother of the waiter, who could speak no English. At the mealtimes when the doctor was not present or engaged in doctoring there was a lot of pointing and smiling but not much else! I don’t remember being asked which if any other languages I could speak or understand. How were the other sections of your trip in South America, organised by our partners? All of the trips and events around the cruise were good particularly the tour of Santiago. The guide was informative and knowledgeable and obviously loved her job and her city. I was surprised by the day adventure up into the hills on the turn around day in Ushuaia as I don’t recall that being mentioned. It was enjoyable but came as a bit of a surprise to get a phone call saying that the guide and land rover were outside! I still can’t see it mentioned on the itinerary. I suppose the one slight problem for me was the transfer from the cruise ship to a rendezvous in a café c 0.5 kms away. My bag was 18 kgs and had no wheels and I struggled somewhat even over that distance (I had earlier in the trip hurt my leg a little bit). I think that someone older than I would have struggled more particularly if it had been raining and /or very windy even over such a short distance. Many travellers were being met with taxis, perhaps to get to the airport, but I think a meet and greet at the ship would be a nice idea. Apart from these few relatively minor things the trip was thoroughly enjoyable and was helped by the large amount of support out there -it wasn’t just getting you to the airport, it included check in, emigration, customs etc and really took the pressure off. This entry was posted in Cruise and tagged advice, Cape_Horn, Cruceros_Australis, Cruise, Glacier, Into Latin America, penguins, Punta_Arenas, Review, Santiago, south america, Tips, Tours, transport, ushuaia, wildlife on 31st January 2014 by Luke Errington. How was your W Trek in Torres del Paine and the guides who looked after you? The scenery on our W Trek was amazing, and for Patagonia, apparently the weather was ok. We did of course get to experience the winds! We were a little unlucky in that the other 4 people in the walking group were 20- something year olds. Fit and fast. My friend and i were much too slow for them ( compounded by the fact my friend is an avid photographer). I told Victor, the guide, to go on with the others. The weather meant it was not really feasible for people to hang around waiting. So we did most of the walk without a guide, tho Victor did wait for us on occasions when he thought the route was a bit tricky. There wasn’t really anything else he could have done. How was your Tyndall Glacier Kayaking trip in Torres del Paine, and how were the guides who supported you? Our paddling trip was excellent. I had to admire the courage of Herman setting up a paddle business in such an area- with winds, currents, cold water, rain etc to deal with. We had 2 guides, Brooke and Rob and they were excellent. We managed to get right to the Tyndall Glacier and had a lot of fun. I would recommend this trip, though preferably with some prior paddle experience. We really appreciated Luke’s overall advice re getting around Patagonia. The bus from Ushuaia to Puerto Natales was great, as was the trip from Puerto Natales to El Calafate. 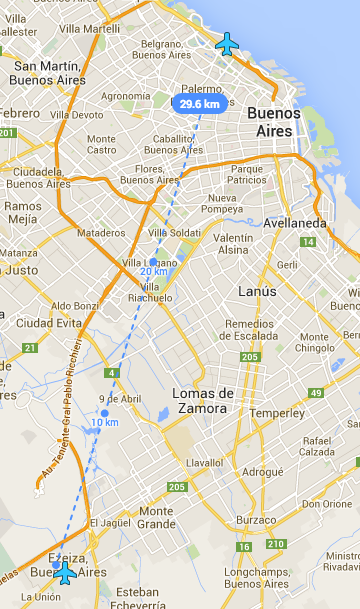 We flew from there back to Buenos Aires. How were the operators we put you in contact with for your W Trek and Kayaking Trip? The W Trek operator did a great job in organising accommodation for us in Puerto Natales, booking our buses and renting us gear for the paddle trip. All the paperwork from both operators went smoothly and they both replied to email promptly. So in that respect I would recommend both companies. Did you manage to visit anywhere else on your trip? Have you any thoughts, suggestions, or words of advice for any other experienced travellers such as yourselves travelling in the peak season? I don’t mean to to sound harsh, and you may need to temper it with the fact that living in Australia we are less tolerant of crowds. And also the fact I operated guided walks, offering luxury by comparison. I found the trek too crowded for my liking ( and I realise we we there in peak season). The track was very degraded; it ‘s a classic case of the resource you are coming to see being destroyed by your very presence. I would not recommend a guided hike for the W trek as you really don’t need a guide and you stay at the same refuges anyway. It’s an expensive way to do it, when you have shared rooms and poor food. This entry was posted in Reviews, Torres del Paine and tagged accommodation, Buenos_Aires, chile_nativo, El Calafate, Glacier, Guides, Hiking, hotels, kayaking, Perito_Moreno, Puerto_Natales, refugios, Torres_del_Paine, transport, Tutravesia, ushuaia, W_Circuit, weather on 30th January 2014 by Luke Errington. The Full Circuit was fantastic, as was our guide, Julieta. Did you manage to visit anywhere else in Chile or Argentina on your trip? We spent a couple of nights in Buenos Aires. How well did Swoop Patagonia do helping you plan your holiday, and finding the best trip or operator for you? How were the operators we put you in contact with in Torres del Paine and El Chalten, and how were their guides on the trip? The operator in Torres del Paine, and their guide (Julieta) were excellent. Everything went like clockwork and we were very well looked after. This part of the trip couldn’t have been better. The guide in El Chalten was very cautious and didn’t like to walk in rain or wind. Our first hike was cut to just 8km instead of 22 because he thought a storm was coming – none did -just think he wanted to get back early. On our second hike he wanted to stop us going to the peak because it was gusty but we managed to go – we didn’t think it was that bad. We had difficulty getting a veggie packed lunch from them on both days, but Zoe apologised profusely for lunch errors. The bus was often late, and although our bus transfer from Puerto Natales to Calafate was supposed to be at 8am from our hotel as per our schedule, it ended up being at 6.40am (after getting back from the Full Circuit at 10pm the night before), which was a killer! Ask for Julieta if walking with this operator in Torres del Paine. Take a washing line –ours was invaluable! Gaiters weren’t on the kit list but we felt they were essential for stream crossings after heavy rain and deep snow on the pass. We also found that walking poles (2each) were essential. This entry was posted in Los Glaciares, Reviews, Torres del Paine and tagged bus, Chalten, chile_nativo, Customer, food, Full_Circuit, Guides, Hiking, Kit, Los_Glaciares, Review, Tips, Torres_del_Paine, transport, Walk Patagonia, weather on 9th January 2014 by Luke Errington. Excellent. It was an unforgettable experience. 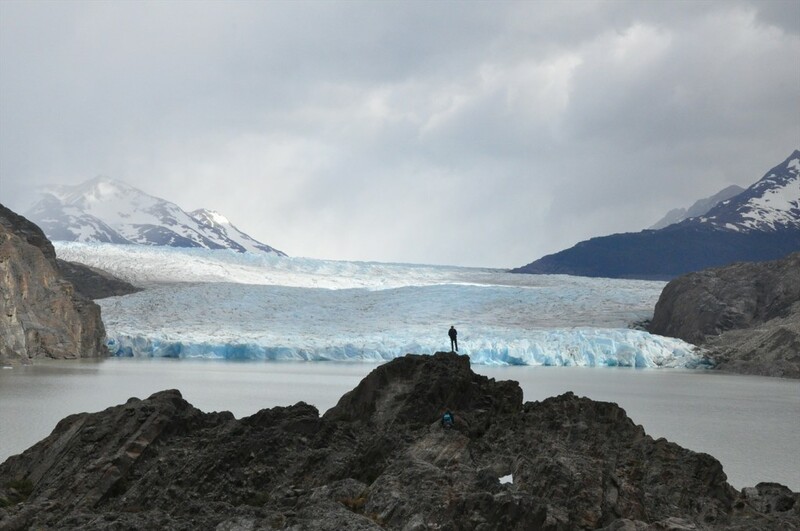 Did you manage to visit anywhere else in Patagonia on your trip? We spent 3 days in El Chalten exploring Fitzroy before heading down to Torres del Paine. We previously spent 3 days in Buenos Aries which were also brilliant. Your advice was spot on in terms of highlighting the attractions of two exceptional areas and the walking and kayaking were outstanding experience. How were the local operators Swoop referred you to? In the end we decided to arrange our activities around Fitzroy independently, but did call in to one of your partners’ office to say hello and try and arrange a climbing guide and they were very helpful. Given our extensive previous trekking experience, we probably wouldn’t have benefitted very much additionally from the involvement of a guide from a basic trekking perspective and would imagine they would possibly be more helpful for inexperienced travellers or those wishing to arrange more specific activities such as climbing or glacier treks or possibly mountain biking or horse riding. 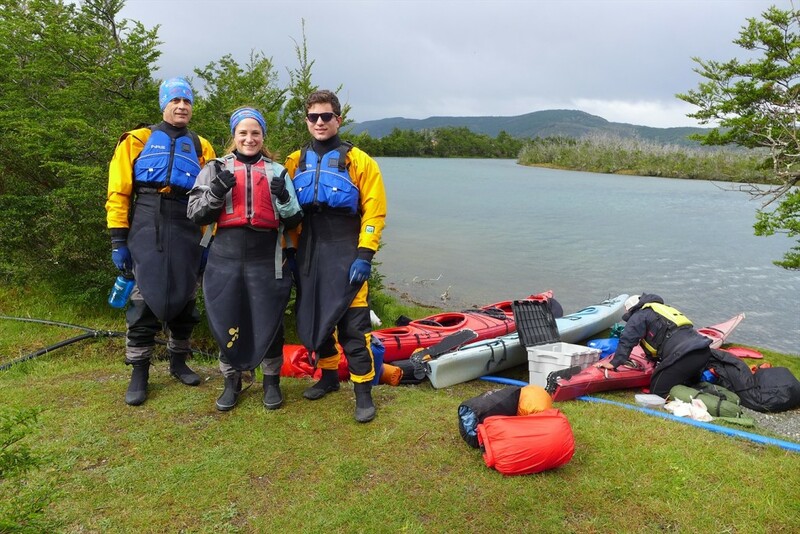 Your partners in Torres del Paine provided excellent guides and service (Lucas for the Classic Full Circuit Trek, and Chappa for the kayaking). I would say that the enjoyment of the activities is certainly dependent on previous experience and weather and is not straightforward if the former is limited and the latter is bad. Mike and I managed to capsize our kayak in front of the Serrano Glacier in a gust of wind and, whilst all ended well and we considered it an exhilarating experience, that might not have been the case if our children had both been as inexperienced as us and also capsized! Not really, other than wishing to have more time (and money) to explore Tierra del Fuego as well. Another small detail was that pick-ups at the beginning and end of our time in Torres del Paine didn’t work and we had to find our own way to the operator’s offices, and to the airport afterwards. This was probably the fault of their taxi agent but is still something they need to improve on. The activities are not entirely straightforward and some additional pre-screening and/or preparation might be advisable – in our case a few hours familiarisation with kayaking might have helped avoid some slightly worrying moments. However all’s well that ends well and it was an unforgettable experience. 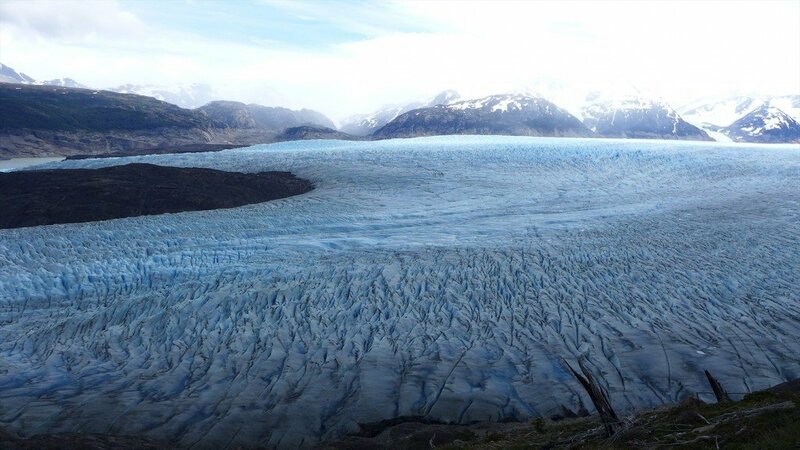 This entry was posted in Guides, Reviews, Torres del Paine and tagged chile_nativo, Full_Circuit, Glacier, Guides, kayaking, Los_Glaciares, patagonia, Tips, Torres_del_Paine, transport, Trekking, weather on 7th January 2014 by Luke Errington. We loved the Cruise, and we also loved Iguazu, Salta and the north, which we enjoyed much more than I expected, it was rather spiritual the scenery was stunning. 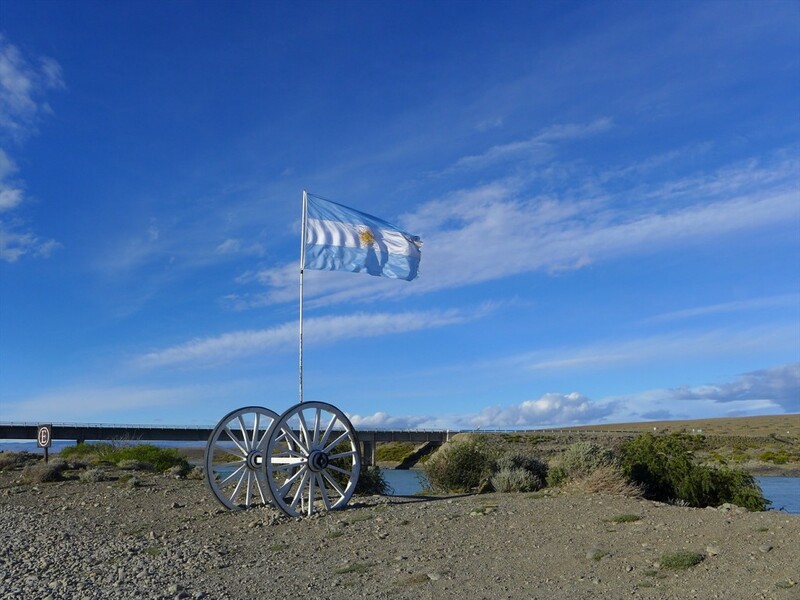 We really want to go back to Chile, it was too short a stay , the people were lovely, and the estancia we stayed at in El Calafate was fantastic- in fact we just loved everything! Writing about it makes me quite emotional! I’ve never done the guide thing before but this was the best thing ever. The guides were superb, each in their own way and sooo knowledgeable. They took us to things we didn’t know about or might not have bothered with and there was nothing that I felt was a waste of time. Everyone turned up on time, and was enthusiastic, the transport was good especially in the north (fab guides in Salta). Worth every penny. Thank God for Swoop Patagonia… we might have still been wandering in Argentina without your help. How happy were you with the Operators we put you in contact with? Your suggestions were spot on and putting us in touch with your partner, Steph, was inspired…what a girl! Nothing was too much trouble, she was always to hand, full of ideas and advice, couldn’t recommend her highly enough. Her personal contacts for guides in Rio and BA worked brilliantly, (as did those through Wanderlust). All of the accommodation was excellent, there was a real variety and everything lived up to Steph’s promises. Even our last minute request for change of itinerary during the holiday itself was handled efficiently and without fuss and worked really well for us. So big thanks to Steph. Is there anything you would have changed about your trip, looking back? The only thing I could have wished for was to stay longer , especially on the estancia- I have fallen in love with the country and its people and definitely want to return…..
On behalf of all of us, thank you so much for you help and if you need someone to recommend you or your partners, I’m your girl. This entry was posted in Reviews and tagged accommodation, Chalten, Cruise, Guides, Into Latin America, patagonia, Patagonia Cruises, Review, transport on 6th January 2014 by Luke Errington. The trip was awesome- we had a really great time! How was your guide and horsemen on the trip? Os was great- really helpful, very enthusiastic, and obviously a great rider. All of the horsemen were very patient with us and helpful with any questions and help we needed. Alberto in particular was chatty and danced like a dream. How would you rate the horses you had on your trip? Amazing- they were really responsive (although each with their own personalities) and were well looked after. How would you rate the tack? The tack was all in good order, and was comfortable, although as it was changed most days it took a bit of getting used to. How would you rate the accommodation during your trip? The tents were great (although complicated to put up), and the choice of wild camping locations was great –all were really beautiful. Having hot stoves at some of the camps was brilliant, and we really appreciated that we stayed at Gonzales’ family home. How did you find the food on the trip? The food was brilliant- plentiful and tasty, we were a bit spoiled to be honest! Livio was charming, funny, and a cheerful spirit on a rainy morning. How would you rate the transport and logistics on your trip? There were no problems at all with transport- it was comfortable, spacious and on time. The logistics ran very smoothly, and were accommodating of different arrival times. Do you have any other comments or suggestions about the trip? We had an amazing four days, and although it was tough going at times, it was extremely worth it. The pace of the group worked well, Gonzalo and Alberto were patient when some needed to slow down, but kept the pace of the group going. We had such a laugh and would recommend the trip to anyone. Thank you! Sorry, we can’t suggest any improvements! This entry was posted in Reviews, Torres del Paine and tagged accommodation, camping, Customer, food, Glacier, Guides, horse riding, horse riding patagonia, patagonia, Review, Torres_del_Paine, transport on 3rd January 2014 by Luke Errington.